One of the most burning questions we are faced with when we marvel at the grandness of the universe and the diversity of life on Earth, is: Why the hell can’t we find any aliens? I’m not talking about bacteria or frozen spores on some asteroid or moon, but intelligent species — interstellar civilizations we can recognize and communicate with. After all, according to the Kardashev scale and given the age of the universe, there should be at least a type II civilization in our own galaxy, and possibly several (or many!) type IIIs throughout the universe. And we ought to be able to observe them with the technology we currently have, as the radiation output of their massive energy conversion would be measurable. But we’ve found nothing. Nada. Zilch. Maybe the problem lies elsewhere. Maybe we’re expecting the wrong results. As you probably imagine (or know), many brilliant scientists and inquisitive minds have bent over backwards trying to answer these questions, giving birth to some of the most exciting solutions to the Fermi paradox (high probability of alien life in the universe, apparently no traces of it). Let’s draw a broad sketch of the issue. Nicolai Kardashev postulated that as an intelligent species evolves, it will eventually be able to harness and use the entire energy output of its home planet (type I) > then its home star system (by building a Dyson sphere around the star, for example)(type II) > then its home galaxy (type III). This requires that such a species evolves in an expansionist manner, colonizing its entire galaxy and consuming its entire energy output. Evidently, such a tremendous evolutionary step requires a phenomenal use of technology on a mind-boggling scale. Enveloping an entire galaxy in an artificial construction, or every single star within it, and using that energy to sustain an enormous, expansionist civilization, will inevitably be detectable. Even if our observational technology is measly by comparison, we’d still be able to detect something by the sheer immensity of its effect on the surrounding universe. By its shadow, so to speak. Or its gargantuan footsteps. But we’ve found no such civilization out there. SETI’s G-HAT survey (in which they studied over 100.000 galaxies looking for traces of a type III civilization) has returned a pretty grim result, namely zero. No such thing as a Kardashev type III civilization out there. A real bummer. Of course, this result says nothing about type Is, for example, which would be far harder to detect. But it still begs a very important question: Was Kardashev wrong? Why can’t we find any advanced alien civilizations out there? Let’s go down the rabbit hole and look for possible answers. Keith Cooper, a freelance science journalist, recently speculated on this topic over at Centaury Dreams. 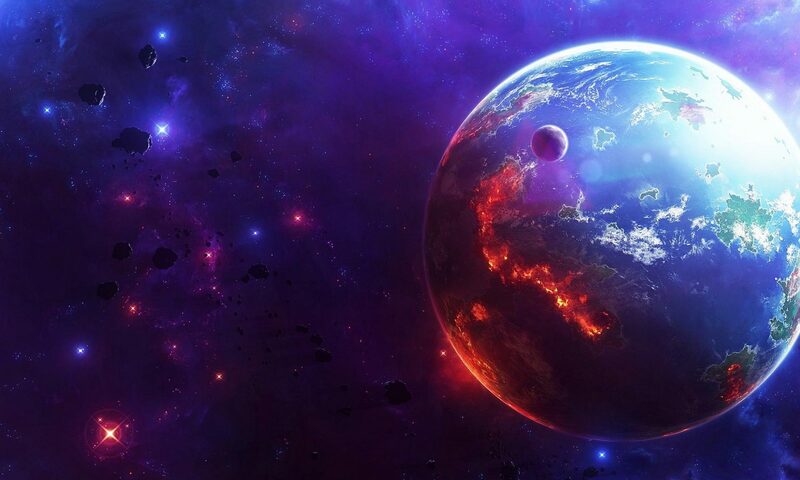 He proposed three possible explanations why civilizations might fall of the Kardashev scale at some point, seemingly never reaching a type III level. A strong argument in favor of this explanation is Geoffrey Landis’ percolation theory. Landis assumes that interstellar travel is short distance only, as travel to far destinations would require hundreds of years and thus be unfeasible. So an interstellar civilizations will expand gradually, in bursts, colonizing the neighboring systems one by one. Not all of these systems will be colonizable (or warrant the effort), and thus some will become dead ends. Similarly, some systems will be so far away from their next neighbors, they too will become dead ends. Thus, an expanding interstellar civilization will grow outward like the roots (or branches) of a tree, until all its ramifications will meet dead ends and expansion will stop. No type III. Another theory is that civilizations, as they evolve and become more efficient, will have lower energy demands, not higher. Such civilizations are driven by optimization and specialization, not expansion and comsumption. An optimized society will also not increase in numbers significantly, and thus not need to colonize new worlds to sustain its growth. Such a civilization will very likely travel to other systems, but to explore and gain knowledge, not to seize and consume. They might very well be galactic, and even inter-galactic, but they wouldn’t occupy a place on the Kardashev scale. This is the most beautiful puppy theory of all. If we assume that an evolving civilization will become more efficient and also require more energy, what’s the likeliest target of their interest? Black holes. Infinite energy, condensed into the tiniest possible space. There’s a good reason why all scientists get giddy when one mentions black holes: they’re fascinating and terrifying at the same time (er, the black holes, not the scientists). 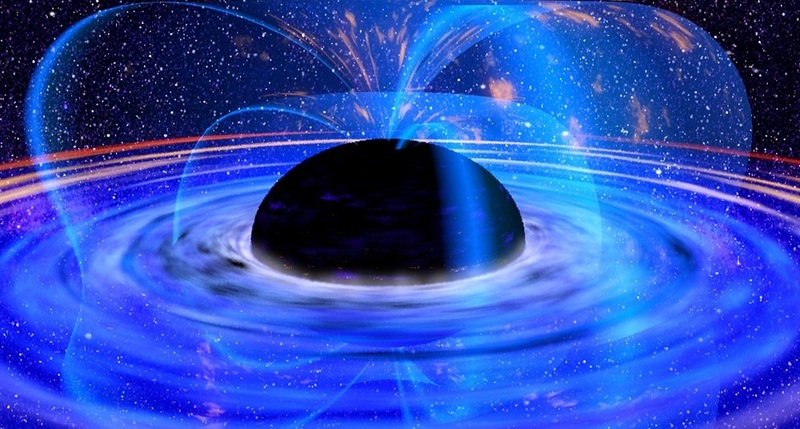 Several people have developed theories around the possibility of harnessing energy from black holes, and the results are mind-blowing. So it makes perfect sense that a sufficiently evolved civilization won’t seek to spend energy painstakingly colonizing an entire galaxy, only to harness the output of volatile stars, if it can focus on harnessing the power of black holes. They could build Dyson sphere variants around black holes; tap into the blasting energy output of their accretion disks or jets; or use the rotational energy of spinning black holes. There’s also a surprising number of x-ray binaries (black hole plus star) even in our own galaxy, inviting the speculative notion that evolved civilizations create their own black holes in their (or the neighboring) systems to use as an energy source. But the fascination with black holes as an alternative focus to expansion goes well beyond their energy potential. Black holes could make the most powerful computers imaginable. They could also be gateways to other universes or existential dimmensions, where super-advanced civilizations go to be among their peers, leaving us barbaric beasts behind to crawl across normal space-time at our glacial tempo. The Transcension Hypothesis speculates on exactly this alternative: that sufficiently advanced civilizations may invariably leave our universe. The evolution of life on Earth points toward specialization and ever decreasing scales of manipulative dexterity. Extrapolating that to alien civilizations, we’d invariably conclude that they’d much more likely develop toward the micro-, nano-, and subatomic scale, and head inward, into the infinite density and energy of black holes, as opposed to dedicating themselves to greater and larger constructions, hugely growing energy demands and unsustainable scales. There are some compelling reasons why black holes are attractive to civilizations focused on achieving great STEM density. Miniaturizing civilizations, who re-engineer themselves with femtotechnology (structures at sub-atomic scales) will undoubtedly be intrigued by the challenge of entering and harvesting a black hole without losing structural integrity. All the while, the proximity to black holes essentially fast-forwards them through time, as the rest of the galaxy and universe would speed through its processes in the blink of a subjective eye. Also, such civilizations—due to their crossing of the computational threshold between noisy, inefficient technologies, and highly specialized, efficient ones—would undoubtedly exist in a sort of “radio silence,” as they would have near zero untargeted, unintentional emissions. So we’d be unable to spot them by their noise. Just imagine. If you’re a civilization that has created a super dense, super efficient and super fast computational capacity (called ‘computronium’) by relocating to and using black holes, you may increasingly find the rest of the universe slow and boring by comparison. And you’d not be interested in communicating with it or listening to its primitive noise, as such investment on your part would yield no new benefits. Black holes would be the ultimate tool to exponentially increase your knowledge and power, to essentially blow up the evolutionary scale. Certain classes of accretion discs around super-massive black holes are such monstrously efficient energy harvesters (in some cases 50 times more efficient than stellar nuclear fusion), it begs for speculations about such formations bearing proof that advanced civilizations are at work, rather than coincidental natural phenomena. And to color our little speculative neuronal explosions even more, such civilizations will invariably evolve non-biological intelligences, which in turn will escape natural evolution and transcend ‘life’ via intentional development. The phenomenal computational capacities facilitated by the manipulation of black holes will invariably yield non-biological organisms that far out-perform and surpas biological life-forms in their development and use of natural resources (such as black holes). It all makes for awesome speculative ideas, doesn’t it? The lack of proof of expansionist, consumeristic alien civilizations doesn’t mean we’re alone in the universe. It may just as well mean we have some evolutionary — no, developmental — stages to look forward to that will see us transcend all we currently know to be ‘life,’ and enter a realm of supreme efficiency, computational capacity, and self-realizing potential. How’s that for science-fiction story material. I heard a theory once I ‘ll relay here. If our galaxy is 120 million to 150 million light years large, and if civilized humans have only existed 5,000 years or so, many alien civilizations could been born and died before the light from their star even reached us. On a galactic scale we have existed in less than a blink of an eye. I see the problem being the scale of our surroundings. Interstellar distances are enormous. Just out Milky Way is est 140,000 light years diameter.. Detecting radio waves and broadcasting will take many generation of humans. Then the intergalactic scale . . . Mighty starships plied their way between exotic suns, seeking adventure and reward amongst the furthest reaches of Galactic space. In those days spirits were brave, the stakes were high, men were real men, women were real women, and small furry creatures from Alpha Centauri were real small furry creatures from Alpha Centauri. And all dared to brave unknown terrors, to do mighty deeds, to boldly split infinitives that no man had split before — and thus was the Empire forged. Good stuff. For further material I would suggest reading the tinfoil hat authors. It’s also great fun. I’ve read countless books on UFOs and alternative history, and of course I read the scholarship relative to history and comparative religions. What I like about the tin hat cabal is they ask good questions but propose outlandish answers. Many scholars lack imagination and are too intent on protecting their positions to see the forest for the trees–they have, after all, careers and theories to protect. Of all my years studying this stuff I’ve come to a conclude so far that UFOs aren’t proven to be anything but unidentified and that it is likely human civilization advanced quiet high ( not to our level) before the collapse of the mega fauna 13K AD and had to start over. I too believe that free speculation can sometimes help guide actual scientific theories, and ultimately the way we conduct our observations & tailor our expectations. Yet it’s also important to always consider the facts. Luckily, we speculative writers aren’t as tightly bound to those facts as scientists are. 🙂 And the wildest ideas also make for the most awesome stories. “Why … can’t we find any aliens”: Good questions, and over the years I have seen all theories from “we are alone” to any permutation of what is listed during the text. We are not alone. Ok, I do NOT prove it (because then I would be locked up in a hard cold room), and I do not want to prove it (because then I might be locked up in a soft cold room). “We are not alone”: Alone here means: all of universe. And yes, it is bigger than we think we know. Again I do not intend to prove it, etc, etc (due to allergies to cold room storage). However, I will say, we still need to adjust our view on how to detect a civilization – any civilization that survive long enough, and is near enough, and communication close enough to our detection parameters – and we need to adjust our view to what intelligence is. The black hole alternative or extension, yes, I have heard about it, and given it thoughts long time before (*) I heard anyone talk about them as energy resources. A nice version of “high estate rentals”. The view is black, but the power is cheap. However, it can only justify a final step, not the intermediate, where we should be able to detect an (intelligent) civilization. (*): Did some calculation on black holes and read about various intelligence theories around 40 years ago. So no surprise to energy resources to who can use it. PS: In one of my stories a species less than 1 on the Kardashev Scale, is attracted to a species around 2 (not all there) on the same scale. They get involved with an entity that is a bit higher on scale (>3) – and that one is also involved with “something” a bit higher on the scale (>>3). I agree, Bent. We have to adjust the way we look for other civilizations, because our expectations are intrinsically subjective and thus very fallible (and likely wrong). Right, and there are likely to be surprising answers to be known. Imagine civilizations, much (or somewhat) older, naturally find a way to draw energy from the universe (not necessary dark holes) that cannot be detected by us. We would likely not see them. It would explain lack of visible higher evolved lifeforms, but not all the zeroed out in between. In addition, our view of intelligent life form may also be too narrow. When we think of alien life we think of something very much like what we know. Which, in all probability could be the opposite or low percentage of the norm. Exactly. The major fact is that we simply don’t know anything, all we have are extrapolations and speculations, all inevitably and intrinsically warped by our own minds. I want to address only one question you pose, Why can’t we find any advanced civilizations out there? I think it is simpler that most theories or theorems make it out to be. First consider the age of the universe, roughly 13.7 Billion. Think about the distance between galaxies, just looking at them we are looking back in time. Keep that in the back of your head. The Milkyway is roughly 13.2 billion years old, so roughly the same age of the universe. And our type of galaxy along with similar types are all roughly the same age. That should suggest something about the evolution of the universe… Stash that in the back of you mind. Our sun is about 4.6 billion and complex life started about 579 million years ago. Then about 2.8 million years ago the first apes stood up. The first radio transmission, the late 1880s (a very short 135 years ago). The nearest star with earth-like planet? 11.9 light years (Tau Ceti e, superearth). Then consider, does the top speicies there has a Marconi or Tesla to get them into the radio age? What are the odds that it would happen. Or you could just consider the Drake Equation. Of course we are looking back in time when we observe the emissions of distant stars and galaxies, but what we see isn’t an infant universe. We see evolved, aged, and really old galaxies too—which were really old billions of years ago when the light we see now left them—and yet we still do not see any traces of what we expect an advanced (type III) civilization to be. Which logically lets us doubt that we’re looking for the right kind of traces. That’s what this whole speculative train of thought is about (not to mention countless hypothesis and full-blown scientific theories driving not just the SETI program but practically all our deep space observation projects). Another great block with interesting ideas. if you haven’t watched it, check out Ancient Aliens on the History Channel. mostly 80% BS but they have some good stuff in a few episodes. and Hanger 1 has stuff about recent UFO incidents. But when you get past all the alien movies, there is no reason for them to contact us. If you have the ability to harness enough energy to travel the stars, what do you need a species who uses fossil fuels for? There is gold and other precious metals in all the planets, moons and asteroids of our solar system so that if some advanced species wanted it, they would have no need to land here. But I get your point, and I agree that if there are very advanced sentients out there, they’d have little interest in contacting us — but they’ll be likely interested in studying us, much like we study the Aborigines, or animals, or bacteria. Big thanks for making me chuckle so early in the morning. ever see the “Wakes” from boats on the ocean or the Great Lakes from an airplane window? Perhaps finding alien life is a matter of looking for their ships wakes from Earth. Also our electrical power is based on induction technology. Transformers, dynamos, Resonance. My belief is that we will get power from the sun directly via inductance. our power grids operate at from 50hz – 60hz but the sun operates at at resonances of 2 days not 60 times a second… What kind of step up or step down transformer would you need for that? Also transformers use inductive coils how big or more importantly how small an inductive coil could you make to tap a frequency measured in days instead of seconds? Think of how much energy the Sun produces! Mega, Giga, Tera, Peta,…..Google Watts……..
Take it and run with it, girl! It’s not too hard to imagine once a species begins the teleological path toward transhumanism (or transalienism). When physiological homeostasis is supplanted with artifical on-board regulators, it obviates the need for particular hormones (or other biological messaging systems). After various natural subsystems are deemed superfluous and are hence removed/replaced, a species may rapidly evolve away from nature at which point, feelings diminish. Have you ever tried this thought experiment? What would happen if I were never hungry again? Then, what if I were never tired again? What if I didn’t feel the need to be close to anyone again? What if I didn’t need variety? What if I never felt boredom? All of these things are directly inspired by biological psychology. If a civilization were to begin tampering with the natural order, perhaps emotion would silently drift into the background until the visceral connection to reality has disappeared, and an empty, yet industrious existence remains. If well being is a mindful balance between feeling and productivity, then a society that chooses an extreme in one direction may lose their orientation. So pick your poison, hedonism or emotional absence. I would love to hear your thoughts on what would motivate a non-biological psyche. I’ve thought about this in various contexts. When it comes to non-biological entities, be they AIs or non-corporeal beings, I tend to prefer the speculative variant of them being interested in efficiency, achieving perfection in all their endeavors (which will all aim to give them more knowledge, and/or more control over reality). In the case of non-corporeal beings, efficiency might not be such a big factor as for cybernetic beings, but the gaining of knowledge, I believe, always plays a big role. NBEs are a difficult nut to crack, because, are they emotionless? Also, are they merely automatons, or truly intelligent? Given: any entity may have involuntary actions. This is the scenario that plays out in my head, straight up. Any civilization that discovers the power of computation will begin to rely heavily upon it for decision support. If intelligence-related cybernetic enhancements are developed, intraspecific competition requires the frequent upgrade of implants as computer tech improves and eventually, the computational ability of an individual’s brain grows by several orders of magnitude. In turn, this allows an individual to run millions of mental simulations per second. One could imagine an entire lifespan in the blink of an eye. Via a system of monte carlo simulations and bayesian networks, models of reality could be refined within the mental laboratory. Eventually all imaginable thought experiments and scenarios will be permeated. Having exhausted the gamut of topics to think about, the motivators become either maximizing sensations or the thought that there may be some potential reason to be alive that is yet unknown. This is a pivotal moment when a decision could be made to shut down. If instead existence is chosen (YOLO), then the only real requirement is an energy source and a place to wait until the reason to exist becomes apparent. I feel this article, and many, many people, severely downplay just how insanely large just our Galaxy alone is. It almost makes your mind melt when you actually try to think of the physical distance between even 10 or 20 light years, let alone 100, 200, etc. If I opened my house-door, I wouldn’t find 99.999% of the living creatures on our planet, I don’t understand why people are surprised when we haven’t found alien life yet. It’s as if we have been searching for millions and millions of years rather than…75 – that’s just 75 by the way, not 75 million, lol!!! Furthermore, we can’t search every single existing radio channel simultaneously. Finally, maybe they (aliens) aren’t even detectable by radio as they’re using highly advanced and most-likely much different tech than our primitive machines and tools. It just seems a little close-minded and even a touch arrogant regarding our (humans’) capabilities when people act surprised that we haven’t discovered other life yet, or when they act as if it’s supposed to mean that their probably isn’t other life. Imagine you thought that about 99.999% of Earths life-forms because you judged by only looking out 1 micrometer past your door? What if nature itself is a living advanced civilization. What we call quantum particles may be just living or intelligent entities or they may be tools of a very advanced ‘transcension’ civilization. Imagine throwing ping-pong balls to a chimp and expecting the chimp to analyze it. We may be the chimps trying to make sense of these quantum particles thrown at us by the miniaturized civilization!! OR thee particles themselves are the civilization in disguise a.ka. Nature!! I agree. Talking about type 2 or 3 civz.. imagine the star trek galaxy, that whole show plays part in 1 single galaxy. Warp 10? 70 years from 1 end to another end? 1 damn galaxy. Star trek hosts what, 10-20 type 2 civz? Galactic wars etc, a whole freakshow. Imagine what we on earth would see with our tech if we pointed our best telescopes in random directions everywhere when in the middle of all this. We would see exactly… NOTHING AT ALL. We have problems to detect even exo-planets directly, we discovered so far a couple of thousands by using transit methods, a pixel flying in front of a larger pixel and deduct information from it… that is how barbaricly primitive we are, and in all our arrogance we deduct there is NO type 2 or 3 civ in our galaxy because we cannot see robots flying around that are 10 lightyears large in radius. We have to understand that by the time we actually reach type 3, reality as we know it is no longer relevant to us, and we would be a civilizion created out of quantum photon gamma blabla rays etc, that a type 2 or 1 or us, have no hope to even notice. It would be as if civz like these do not exist. We humans blast a sphere of radio waves into space. Why? Because we are primitive, we cannot control it, we cannot make an invisible wall that stops those radio waves, hence we are visible in a 100~ lightyear radius. You think we would see a type 3 civ? Ridiculous, they would have absolute control. Why would they leak infrared radition everywhere? Radio waves? They would not. I repeat, they WOULD NOT. THEY ARE INVISIBLE TO US! You got me thinking, what if this is all a test? One day we all wakeup, a weird humanoid says: good work, you passed. And we look out a window to see mega mega megastructre? Ok, I’m just 12 yrs old. But here’s my theory: what if we are the big ones, the all mighty gods of space, while others are crying for help. Why constantly think there is bigger and bladder things than us? What if we are the overlords. We might just be thinking were the smallest, when really, we are the best. Are we thinking wrong? You decide.